Entravision uses business intelligence and traffic system data to grow revenue and spotlight undervalued inventory. It’s no secret that some of the world’s best-run companies are finding incredible ways to use data and business intelligence software to support better decisions. Many media companies have the sneaking suspicion that the trove of data in their traffic systems could help them identify opportunities and pinpoint underperformance – if only they knew how! Entravision VP Finance and Business Intelligence Aaron Trujillo knew that there must be opportunities to use data to tune Entravision’s sales team performance, but it was a serious challenge to normalize traffic data generated by 56 television stations, 49 radio stations, numerous sales teams, and hundreds of client relationships. 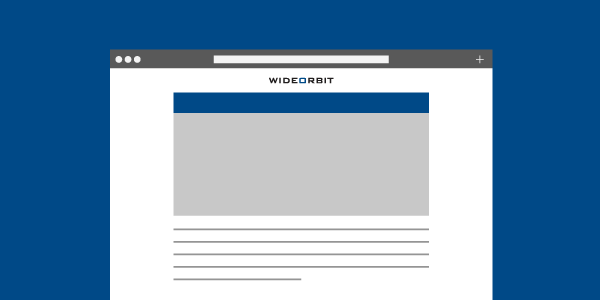 Trujillo turned to WideOrbit’s WO Analytics to drive actionable business intelligence from Entravision’s traffic data. Standard WO Analytics dashboards and customizable key performance indicators help Entravision’s sales and finance teams uncover new ways to grow revenue, pinpoint underperformers, and get more value for station inventory. Download our latest case study to find out how Entravision built a data-centered business culture that helps this publicly-traded company make better decisions and grow profits now and into the future.